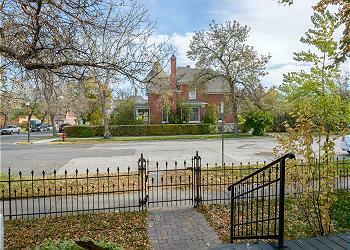 Just a few blocks from downtown Livingston and Sacagawea Park. Restored Victorian style home with a fully fenced yard. 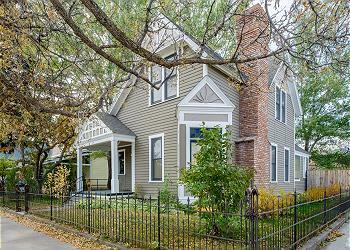 BRIEF DESCRIPTION: This newly remodeled 3 bedroom Victorian charmer is clean & comfy, and a great place to call home. 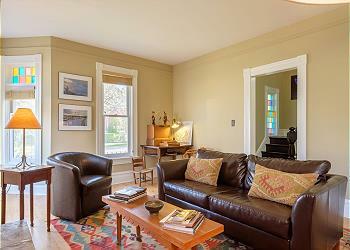 Just three blocks from downtown Livingston, rich with quaint and eclectic shopping, dining, and night-life options. Main Street Montana: It doesn't get much better than a Jimmy Buffet's Livingston Saturday. BEDROOMS AND BATHS: Guests relax on firm mattresses in any of the three upstairs bedrooms and the first floor adds an additional private sleeping area in the TV room with its own pull out sofa and full bath redesigned with a roomy marble shower. 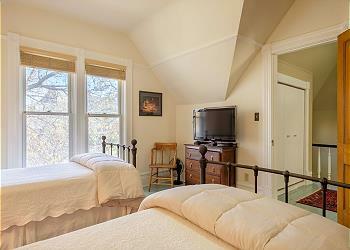 The master bedroom has a queen-size bed and a newly renovated large full bath. 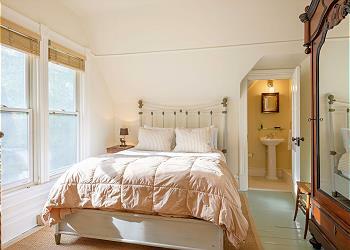 The second bedroom has twin beds and can be accessed from the master's French doors or the hallway. The third bedroom has a queen bed and a half bath. Sleep in late under the down comforters, or let the fresh Montana summer breeze awaken you early for a fun-filled day of fishing the Yellowstone or hiking the Bridgers. There are air conditioning units in the bedrooms. 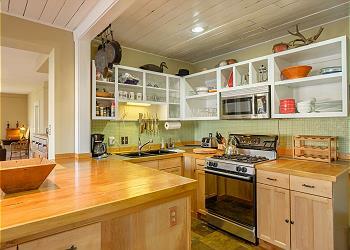 KITCHEN: This fully equipped kitchen, with new appliances, has everything you need for fabulous meals. There's a gourmet range, dishwasher, blender, coffee-maker, garbage disposal and microwave. You will find a selection of cookware, serving ware, even a spice cabinet. Out on the deck is a barbecue grill and ample seating for those memorable outdoor meals together. In the evening, enjoy a bike ride around town or practice your casts in the backyard. 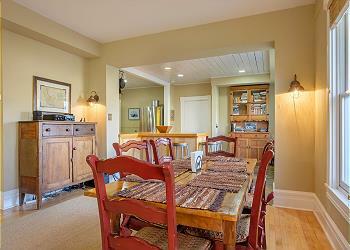 DINING AREA: The dining area is open to the kitchen and living room. The table sits six and there are four more stools at the counter. 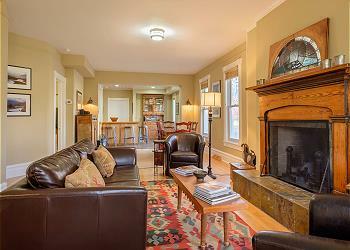 LIVING ROOM: The fireplace is the focal point for the living room. There is a nice leather sofa, a great place to enjoy the warmth of the fire. SETTING, ACREAGE, AND VIEWS: From the street corner you can see in the distance the lights of downtown Livingston and then, to your right, you are only five blocks to Sacajawea Park and the Yellowstone River. 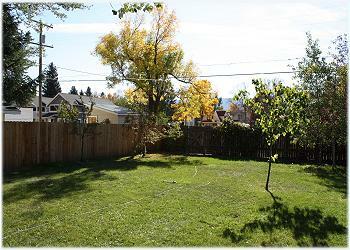 OUTDOOR AMENITIES:The home has a large, peaceful and fully fenced backyard. 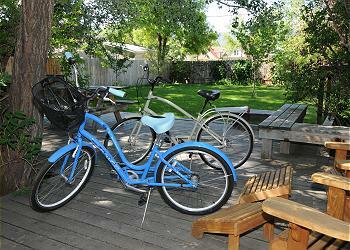 Built in outdoor seating, gas grill, picnic table, 2 bikes and more. CLOSEST AIRPORT: It is about 30 minutes to Bozeman's Gallatin Field airport. ACTIVITIES NEARBY: Walk to downtown to browse the galleries and shops and sample the great dining available. Outdoor recreation of all sorts is just a short drive away … try whitewater rafting, horseback riding, hiking, biking, or fishing. Yellowstone National Park is just an hour away. Bedrooms were well appointed; living room/kitchen area was open and inviting; overall a very nice floor plan. Wonderful backyard; private and large. Nicely kept. Lots of good light coming in from the many windows. Great location to park and downtown. Our family stayed here for 5 nights, it has a great location, the only major downside is the train noise during the night. If you didn't need the windows ope it wouldn't be an issue. 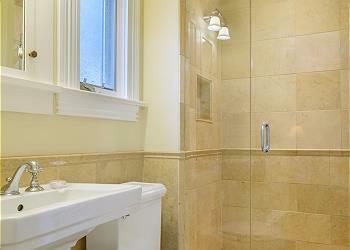 It has great space and 3 nice bedrooms and baths. We tried to use the hide-a-bed but it wasn't comfortable. I wouldn't recommend this house if you are staying with an elderly parent. For couples or a family it is wonderful. 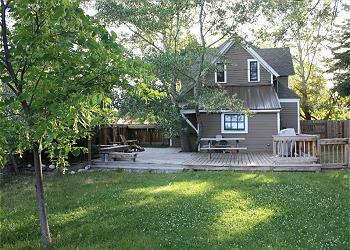 It has a lovely fenced back yard with nice deck for grilling. We had a lovely stay and would use this house again.